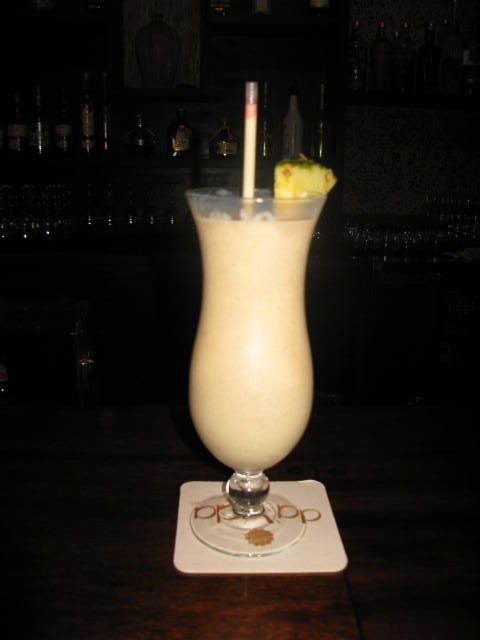 Dark Rum, Bailey’s, Banana, Mango Puree, Cream of Coconut, a hint of Nutmeg. If you even decide to visit Anguilla, please be sure to visit Da Vida’s restaurant, and try Myra’s Mango Bananza….Cheers. If you need a taste of the Caribbean, try Bobby Flay’s Rum Punch recipe. It’s delicious! The saying is: 1 part sour, 2 parts sweet, 3 parts strong and 4 parts weak. Mix all ingredients together in a pitcher or punch bowl. Chill in the refrigerator for at least 1 hour before serving. Garnish with orange or pineapple slices.